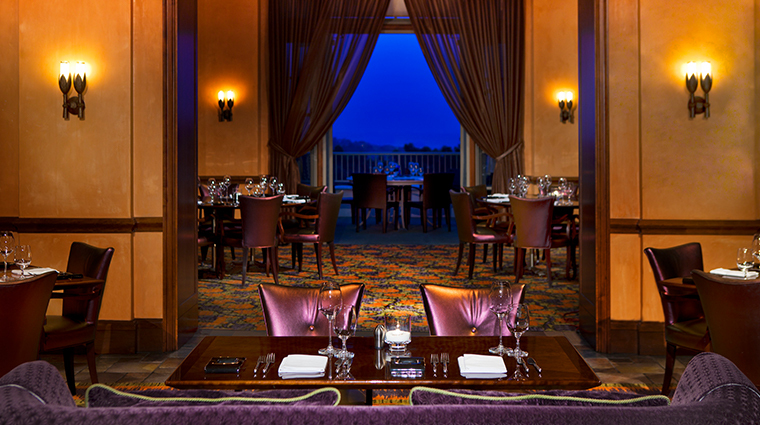 Vivace is Park Hyatt Aviara’s signature fine-dining venue, and one of the best of its class in San Diego. The restaurant features innovative Italian cuisine created in house from the finest and freshest ingredients. Handcrafted burrata and mozzarella cheeses are among the appetizer offerings as are house-cured meats like salumi and sopressata. Pastas are also made from scratch and so are the rich, flavorful sauces that dress them. While the cuisine is clearly the star at Vivace, the ambience certainly vies for the title. The Mediterranean-style terrace offers breathtaking ocean views that dazzle at sunset. If inclement weather prevents you from dining alfresco, similar vistas can be captured near the floor-to-ceiling windows within Vivace’s elegant dining room. 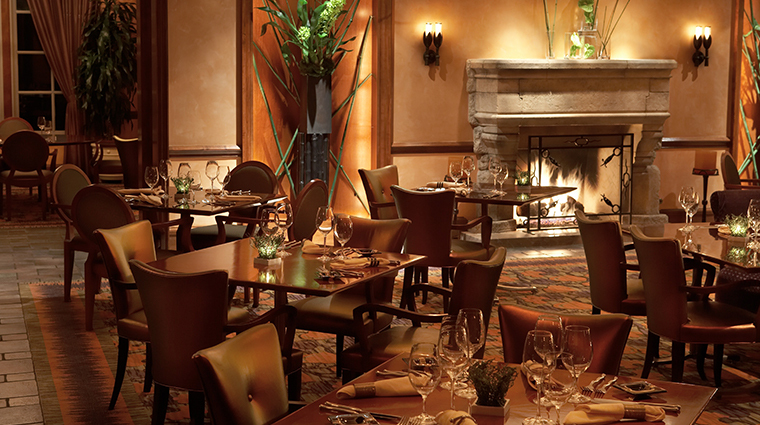 Vivace’s cleverly structured tasting menus make it possible to sample a wide array of dishes. Simply decide on the prix-fixe option that best suits you and then select a choice from each category. Should you choose to enjoy wine pairings with your meal, be sure to consult the knowledgeable servers because their recommendations are spot-on. Remember to save room for a sweet finale; the dessert menu encompasses all the Italian classics. If sweets aren’t your thing, though, opt for the artisan cheese board instead. If you arrive on a chilly night, choose a seat by the crackling fireplace. And on a romantic date night, cozy up to one of the tables boasting plush, sofa-like seating complete with toss pillows. Whether you choose to dine inside or take a table outdoors, Vivace is an ideal venue for sharing great food and fine wine with your spouse, family or friends. Vivace is Park Hyatt Aviara’s signature fine-dining restaurant and is open for dinner Mondays through Saturdays from 5:30 to 9:30 p.m. (however, hours are subject to change seasonally). While the gracious staff at Vivace will treat you well even if you show up in California casual attire, the dress code prohibits flip-flops, ripped jeans, baseball caps, sports jerseys,T-shirts or tank-tops. Most guests choose to dress up for this fine-dining venue. Regardless of season, however, the restaurant remains a date-night haute spot. It’s not uncommon to see canoodling couples engaged in flirtatious tête-à-têtes around an intimate table for two. While it’s possible to secure a reservation to Vivace via opentable.com, a better way to secure your spot is by calling the restaurant direct at 760-448-1234. When reserving by phone, you can specify a table near the fireplace or, perhaps, one on the ocean-view terrace. The evening meal service features several multiple-course tasting menus, though an à la carte menu is available upon request. The menu changes frequently to reflect the season or harvest du jour. Fall, for instance, is Italy’s white truffle season and the delicacy may be featured on a limited-time tasting menu at the establishment. If it’s available, be sure to order the braised short rib Bolognese with fettuccine and Parmesan—this one is a highlight. Selections include everything from Berkshire pork scallopini with runner beans, dried apricots, preserved lemon and a salsa verde to rigatoni with grilled octopus and a red wine tomato sauce.